1. 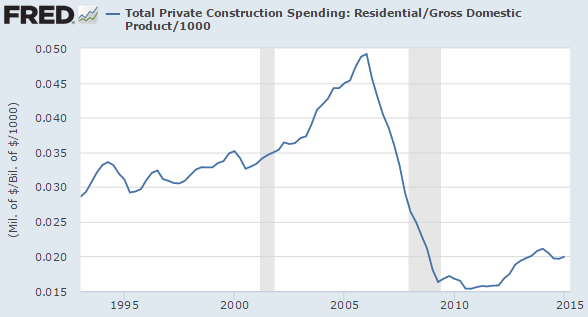 Residential construction spending as a fraction of the GDP remains suppressed. 2. 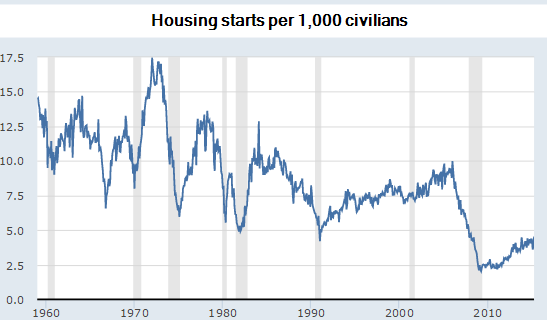 Housing starts also remain extremely low, especially considering US population growth. 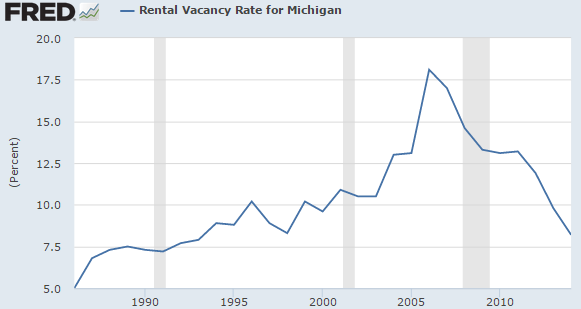 This market has never recovered after the housing crisis - even to "pre-bubble" levels. 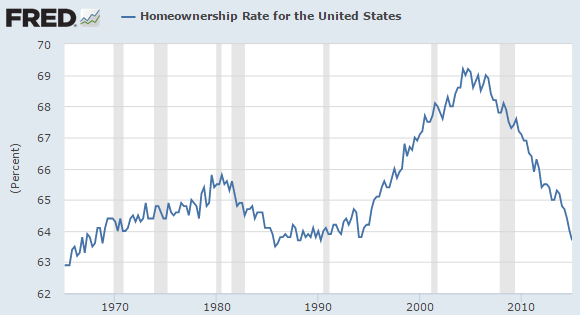 Part of the issue of course is the nagging tightness in the mortgage market, as homeownership rate continues to decline. 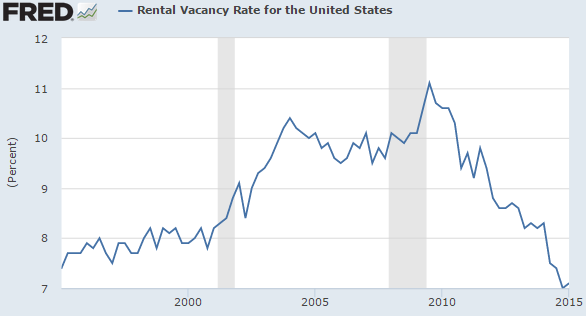 This is funneling more people into the rental market, rapidly tightening the availability of rentals across the United States. 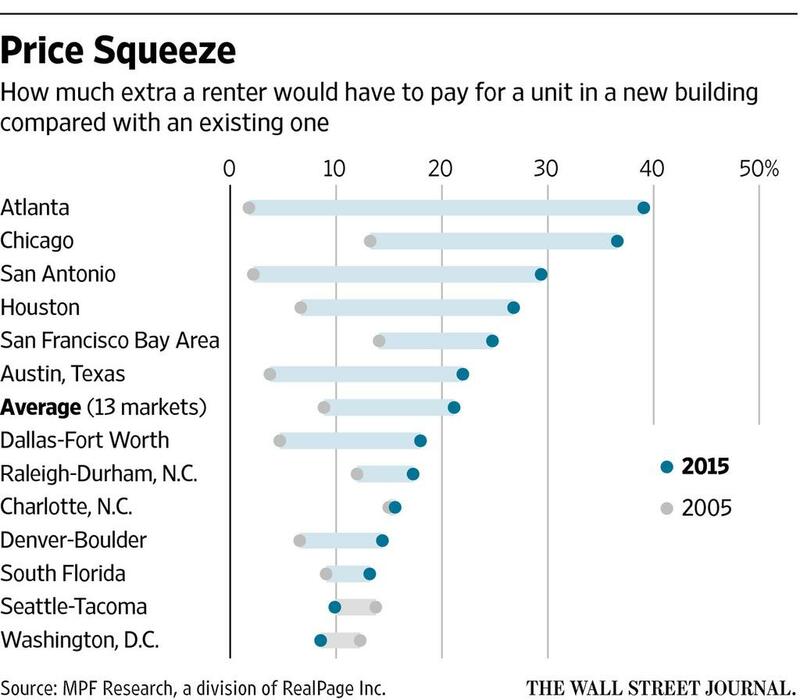 Some view this as a bicoastal issue - of course the rental market is tight in Silicon Valley or New York City. Unfortunately that is not the case. 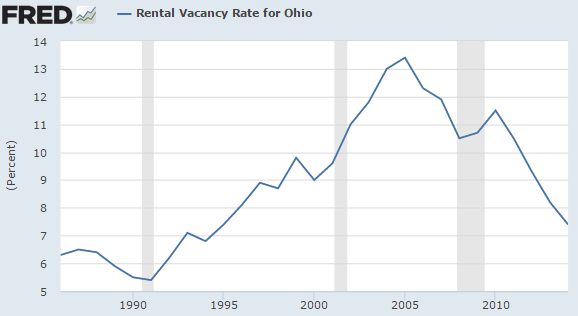 Here are the vacancy rates in Ohio and Michigan for example. Limited apartment construction activity is clearly taking place around the country, particularly in major cities. However, just as the case with new houses and condos, rentals are being built for "high-end" clients. In most major cities, new rentals cost materially more than the average for those markets. At the same time wage growth in the US remains subdued. 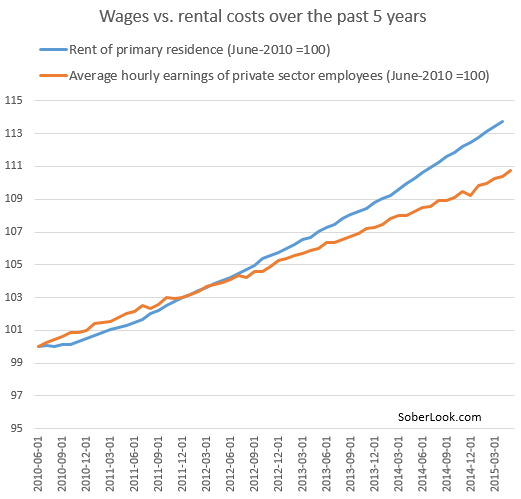 In spite of a slight improvement last month (to 2.3% YoY), rental costs continue to rise faster than wages. The chart below describes the situation over the past five years. This leaves an increasing number of households "behind", with millions more now spending over half of their income on rent. Unless construction ramps up materially over the next five years, the gap in the chart above will widen to crisis levels, putting significant pressure on family formation, raising homelessness, and dampening economic growth.